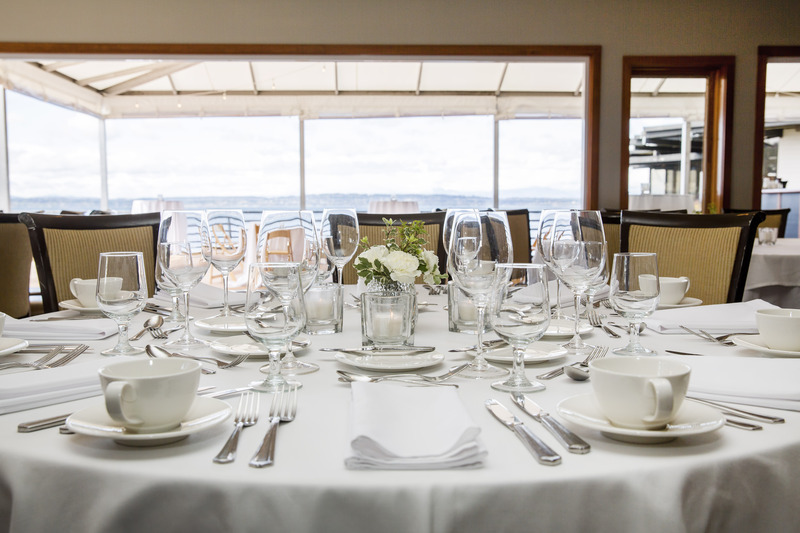 Impress your guests with the best private waterfront banquet room in Seattle! 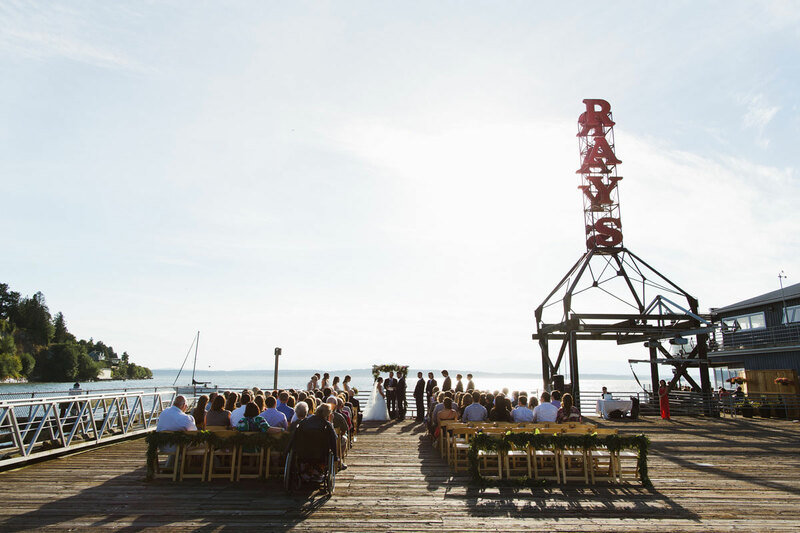 Our outdoor / indoor capabilities provide separate areas for your ceremony, reception, dinner and dancing all while enjoying a spectacular view of Puget Sound and the Olympic mountains. Enjoy once in a lifetime photos! 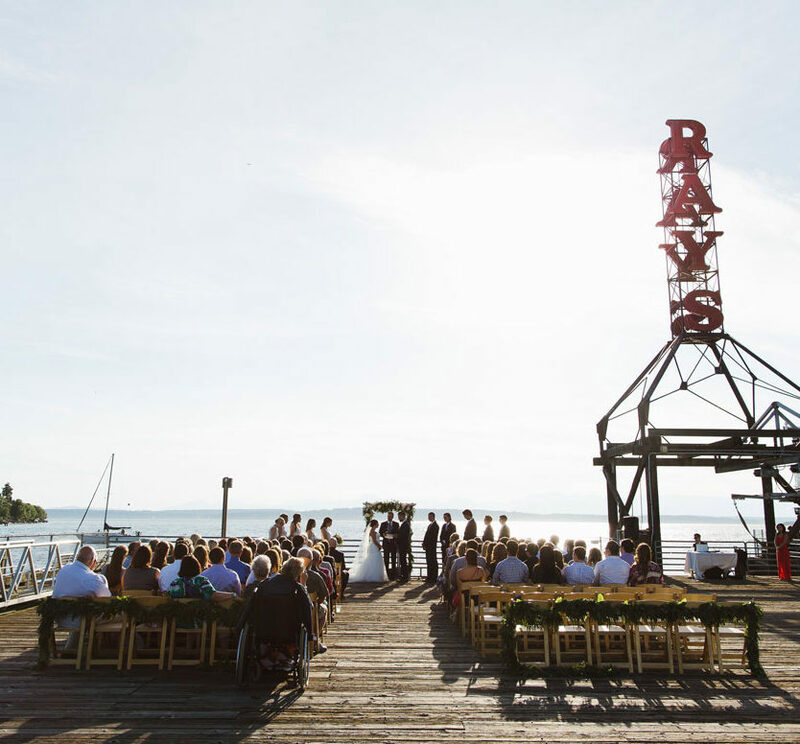 Ray’s has been Seattle’s destination for delicious Northwest seafood and impeccable service since 1973. 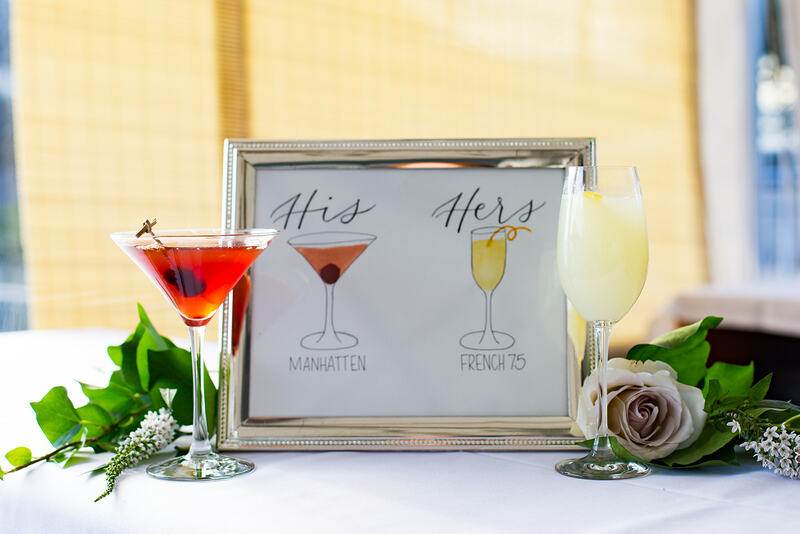 Let our expert event planning team make your affair one to remember. 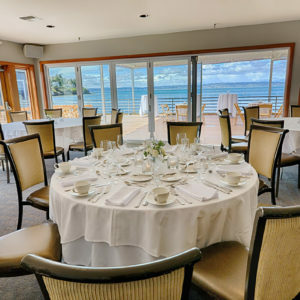 Treat your guests to an unforgettable event, filled with delicious food, comfortable surroundings and incredible scenery. 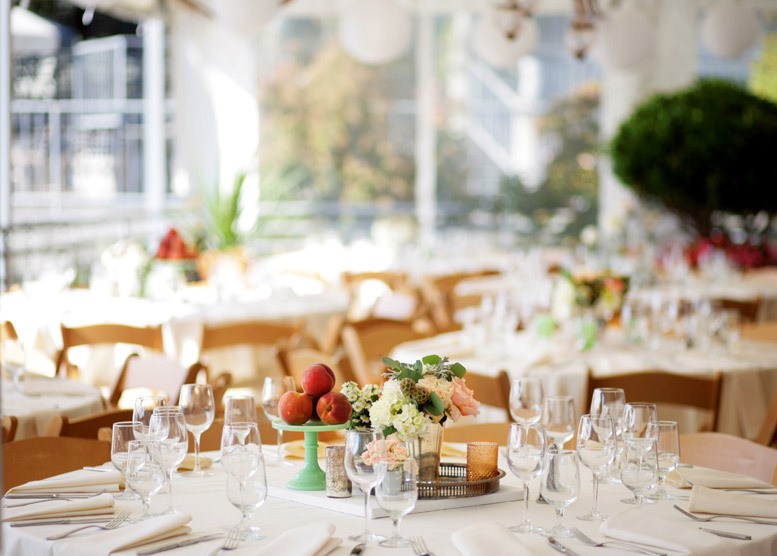 With our expert planning, we’ll make the process stress-free. 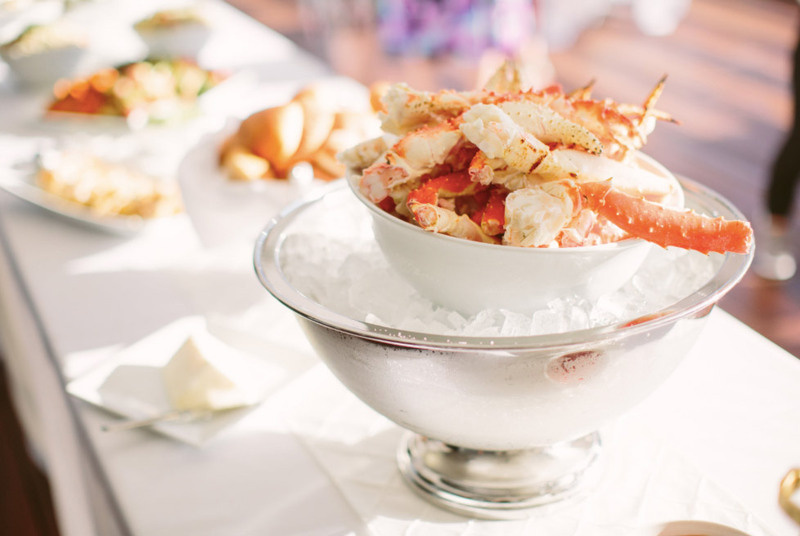 With full-service off-premise catering at your preferred location, Ray’s acclaimed culinary team will create delicious, customized menus. 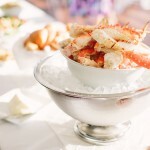 All of our dishes focus on locally and sustainably sourced seafood, meats and produce. 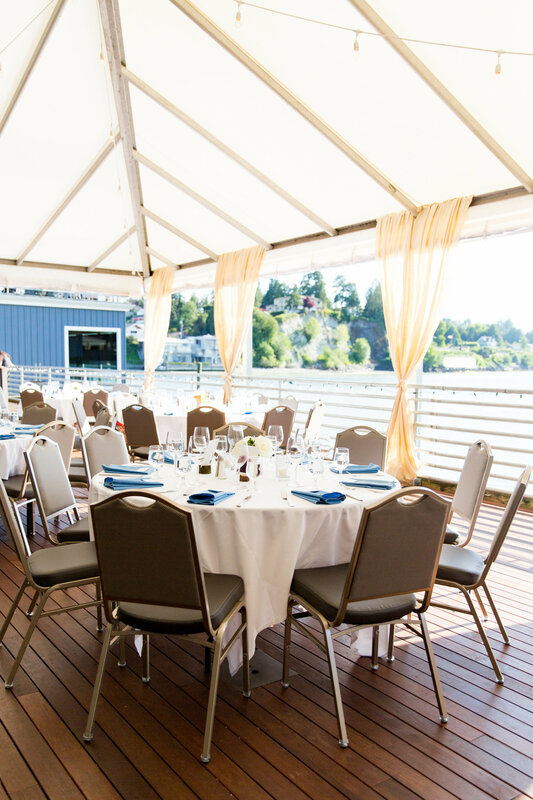 Stunning views, majestic sunsets and fresh Northwest seafood await your next social or corporate event! 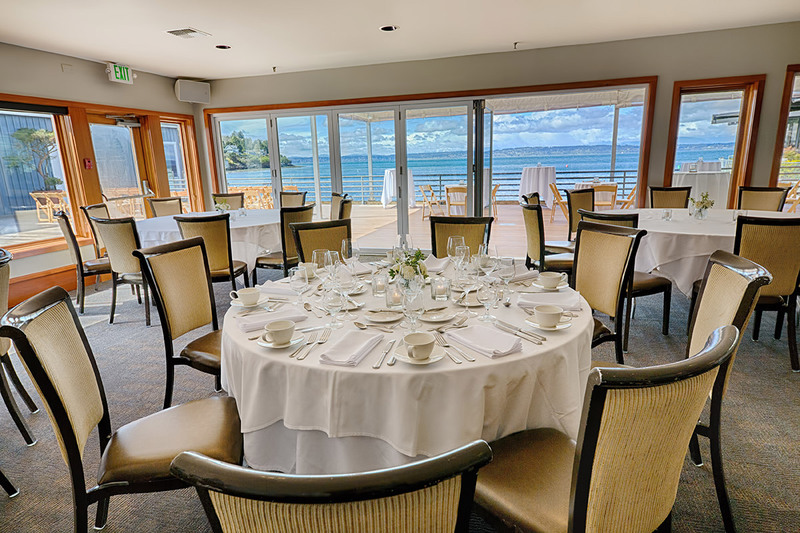 Enjoy the excellence of Ray’s signature service and menus at a venue of your choice!